Traditional signage is less expensive, but gratifying returns on investment come from standing out from the pack and going beyond the traditional playing field of the competition. One way to stand out is through vibrant graphics on your car, which can brand your agency day and night, even while it’s parked on the curb. Show me the numbers on vehicle wraps. Americans are car-oriented people. The average U.S. citizen travels 37 miles each day, and more than 95 percent of Americans are reached by media targeting passing motorists. With so many people on the road, it’s no surprise that advertising on cars and trucks stays with people long after they park their vehicles.A vinyl wrap for a car can deliver up to 70,000 visual impressions in a single day. To get comparable results with a similar reach, a real estate company may spend up to 45,000 dollars on a local television ad campaign. Car wraps cost less than a tenth of that number. And while many would-be homebuyers call agents after seeing a car wrap, those that don’t call, do convert later. Business Review reminds us that a sale is the product of several touches. With a multi-pronged marketing strategy, people who gained awareness of your brand through a vehicle wrap may call your agency after seeing a newspaper ad or visiting your website. Ok, so vehicle graphics are a great value. What are some other things to consider? 1. Vehicle wraps grab brand loyalty and staying power by the horns. The benefits of owning a vehicle wrap depend on the first impression you’re giving off through design. Yes, we know – your third-grade school teacher said not to judge books by their cover – but 48 percent of people say they are more likely to become loyal to a brand during their first experience. With a well-designed wrap, you’ll emanate an aura of elegance and positivity. Keep in mind: 95 percent of people surveyed say they remembered the graphics they saw on vehicle wraps, so if you skimp out on the design budget, you’re giving 95 percent of those 70,000 people you’ve reached a negative impression of your business. 2. Partial or Full Wrap? Either will work. A partial wrap can be just as effective as full vehicle wrap for real estate advertising if you’re looking to advertise on a budget. However, a partial car wrap will lack the protective properties of a full vehicle wrap. 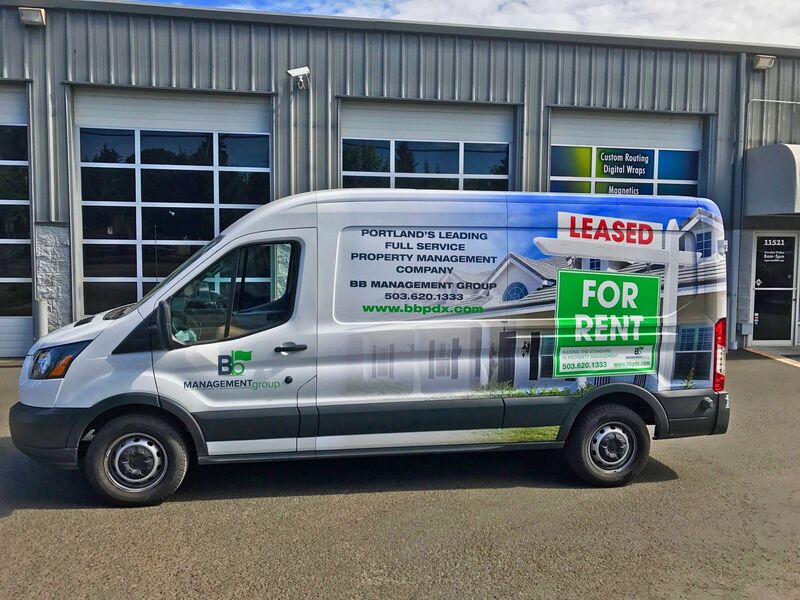 If you’re looking for even more bang for your buck, vehicle lettering and graphics hold the same eye-catching properties as vehicle wraps, to a lesser extent. A full car decal can protect the clear coat underneath, leaving you with a higher resale value and greater paint longevity. 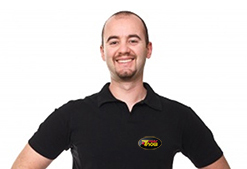 Both styles with last for nine years and are easily removed with the help of professionals. 3. Problems with theft? Not anymore. While advertising in an urban area will net you a larger amount of exposure, cities often have higher amounts of crime than their suburban counterparts. But unlike magnetic signs and yard signage, full vehicle wraps cannot be stolen. Even for those who know how to remove vinyl wraps, your branding will do little for them other than continue to advertise for your real estate agency! A driver can essentially park their car in a heavily-frequented area overnight—worry-free. 4. Every square-inch of space matters. Looking to maximize the amount of impact your advertisement will have on passing motorists? Vehicle window graphics can extend the coverage of your wrap if you need to display additional information, such as contact info, websites URLs, or attention-grabbing graphics. For more tips about how your real estate business can benefit from vehicle wraps, count on the pros at Signs Now®. You may be wondering: “What IS the best way to move forward with fleet vehicle wraps?” Here at Signs Now®, we offer a free onsite assessment that’ll help guide you through the process. We have an array of Real Estate Signs for all applications and budgets. And if you’re looking for full vehicle wraps that are custom-tailored to fit the needs of your business, we’ll work with you to design the ideal decal. Learn more about what Signs Now® can do for you. To get started, contact us today.